Wallace and Gromit open their own ride at Blackpool Pleasure Beach! Wallace and Gromit has to be one of the best animated things in the whole world. 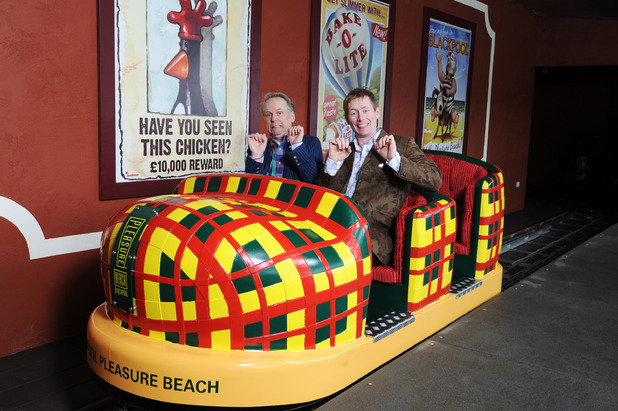 We love the films at Fun Kids and now there’s a theme park ride at Blackpool Pleasure Beach! It’s called the ‘Thrill-O-Matic’ and it takes you on a journey through some of the best ever Wallace and Gromit moments. And once you complete the ride you get to go in the exclusive Wallace and Gromit shop where you can buy modelling kits, mugs and badges. Are you going to check out the new ride? Let us know in the comment box below.